With the Scion FR-S/Subaru BRZ project well into production and sales, and the conclusion of the relatively pretty quick R56 Part II project, the R&D boys were ready to tackle another project. As always, picking the right project is an important task. You need something that (1) will make good power and that (2) people will want make that power… turbo’s are always a plus. Something fun, something on the sporty side. Something in the right price range. 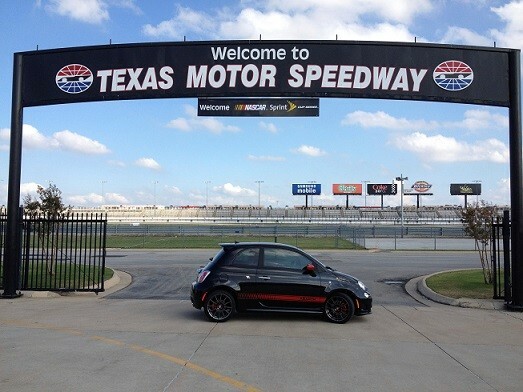 Something relatively new… sounds like an Abarth! With a likely candidate vehicle in mind, we started calling around to see if we could find somebody local that was willing to be an initial test vehicle. After a couple of calls, we found just such a car… owned by an enthusiast and forum moderator was happy to step up. Hat’s off to Ed! Is there a better test drive than heading to a racetrack? As with any project, all the boring stuff comes first. Creating schematics, pictures, oscilloscopes, volt meters, and lots of climbing around the car. The good news is everything was available so the research went pretty smoothly and, even better, the signals all matched when measured. We could make a Plug-n-Play loom out of an existing blank harness – best of all – everything responded just the way it should when our tuners started their baseline work. We’re ready to see how much untapped power is in the little beast. 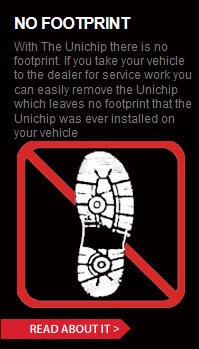 With the background work complete, we installed the Unichip into the car and started tuning. As anticipated, as with most turbo applications, the extra power waiting in the engine was plentiful and a lot of fun to bring out. 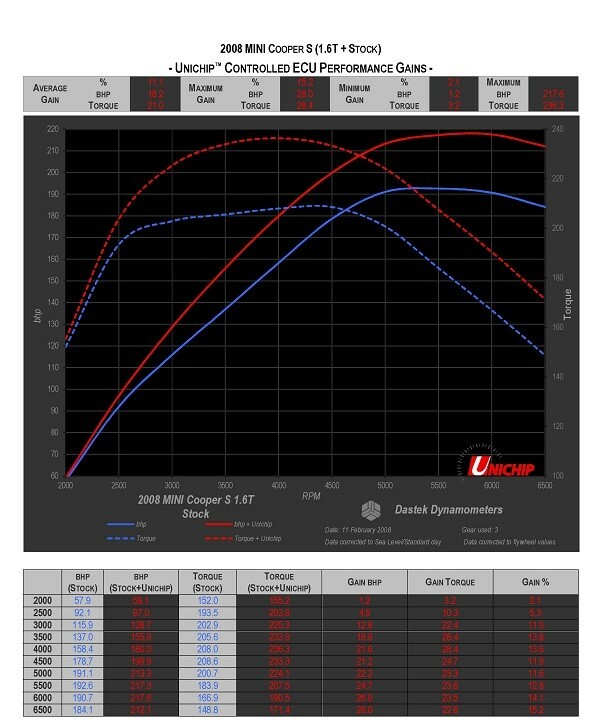 We started out on the dyno to see how far we can move fueling, timing, and boost before the factory computer gets unhappy and shuts things down.